Medicare Supplements - Learn About Medigap Coverage - Natwick Insurance, Inc.
Get help with unexpected medical costs that aren't covered by Medicare with supplemental coverage. 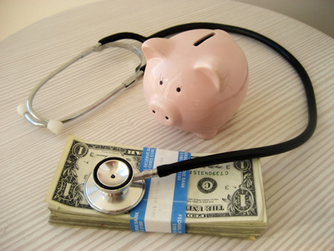 Speak with an expert on medicare supplement insurance today. Medicare supplement (Medigap) insurance can help pay some of the health care costs that original Medicare does not cover, like copayments, coinsurance, and deductibles. Some Medigap policies also offer coverage for services that Original Medicare doesn't cover, like medical care when you travel outside the U.S. If you have Original Medicare and you buy a Medigap policy, Medicare will pay its share of the Medicare-approved amount for covered health care costs. Then your Medicare supplement insurance policy pays its share. A Medigap policy is different from a Medicare Advantage Plan. Those plans are ways to get Medicare benefits, while a Medigap policy only supplements your Original Medicare benefits. If you have a Medicare Advantage Plan, you can apply for a Medigap policy, but make sure you can leave the Medicare Advantage Plan before your Medigap policy begins. You pay the private insurance carrier a monthly premium for your Medigap policy in addition to the monthly Part B premium that you pay to Medicare. A Medigap policy covers one person. If you and your spouse both want Medigap coverage, we'll work with you to setup two separate policies. Any standardized Medigap policy is guaranteed renewable even if you have health problems. This means the insurance company can't cancel your Medigap policy as long as you pay the premium. Contact us to learn more about the right Medicare Supplement Insurance coverage for you.